Notre Dame is close to getting over the hump as head coach Mike Brey manages a depleted roster full of inexperience. Saturday was another example of the Irish showing potential, but also its youth. Junior forward John Mooney cut the NC State lead to 62-61 with just over eight minutes remaining in the game, however, the Irish wouldn’t score for over four minutes. Notre Dame’s defense was good during the scoring drought as the Wolfpack could only push the lead to 67-61. The Irish would then hit just two of its last nine shots to end the game and eventually led to the 77-73 loss at Purcell Pavilion. Brey was visibly frustrated for the first time all season as the Irish simply can’t hit open shots. 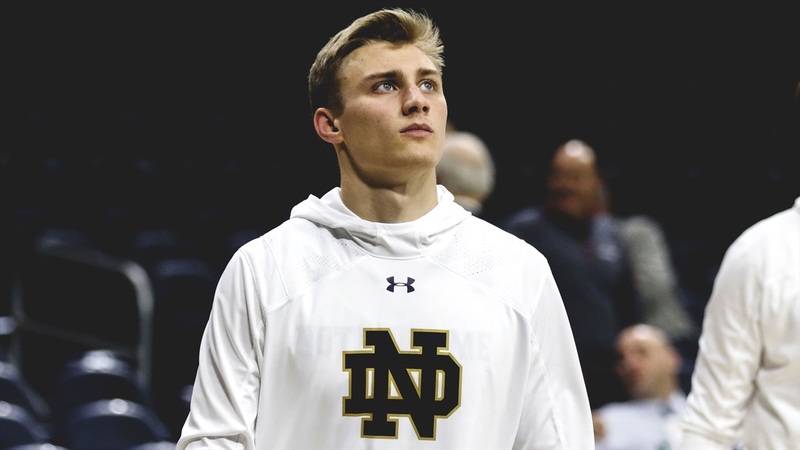 The Irish shot a respectable 18-for-24 (75%) from the free throw line, but in a four-point game, Notre Dame needs to hit freebies late in the game. Mooney has done his part and probably more in the last two losses. On Tuesday, the Orlando native scored 16 points and pulled down 19 rebounds at North Carolina and then on Saturday, Mooney put up 19 points with 16 rebounds. Freshman guard Dane Goodwin did his best to try to help Mooney as he scored 17 of his 19 points in the second half on Saturday. Goodwin has been passive at times this season as he finds his way, but Saturday’s showing was a significant positive for the Irish. Brey has stated publicly he wants Goodwin to be more aggressive and going 7-for-10 from the field is a step in the right direction. The 6-foot-6, 203-pounder was also quick to give his teammates credit.